Martin Levihn and Henrik Christensen. José Rosado, Filipe Silva, and Vítor Santos. Generalization of Biped Locomotion Tasks with Dynamic Motion Primitives. João Barros, Filipe Serra, Vítor Santos, and Filipe Silva. Erik Berger, David Müller, David Vogt, Bernhard Jung, and Heni Ben Amor. Autonomous robots must handle changes in the environment, uncertainties, and faults. They require not just predetermined plans for a single execution path, but instead, policies describing online response under varying conditions -- a set of execution paths. The greater the scope of the policy, the greater the capabilities and reliability of the robot. There are a variety of policy techniques and system types: model-based and learned policies, continuous and discrete state, deterministic and stochastic systems. The goal of this workshop is to highlight recent applications of control policies for solving complex humanoid robot tasks, as well as comparing existing policy representations. We hope to identify policy representations that are particularly well suited for controlling humanoid robots. We will compare techniques for policy specification and representation, looking for a common ground to combine assumedly disparate approaches for autonomous capability and reliability. We strongly believe that Humanoids 2014 is an ideal venue to shed light on recent successes and next steps in policy representations for humanoid robots. From this workshop, we expect participating researchers to identify and address important challenges, techniques, and benchmarks necessary for complex robot policy generation. We hope to bring together outstanding researchers and graduate students to discuss current trends, problems, and opportunities in representing humanoid robot policies, encouraging communication and common practices among scientists in this field. A key goal of the workshop is to reconcile and integrate various different approaches for policy representation. This will open new avenues to build more comprehensive and autonomous robots. Given these insights, we want to discuss important next steps and open problems in policy generation. The invited speakers are renowned experts on robot planning, control, and learning. Hence, they can contribute to a better understanding of both the global overview of the field as well as in-depth knowledge for their respective specialties. Researchers will also have the opportunity to present their most recent results and get feedback from fellow scientists and experts in the field. The workshop is intended as an open platform for sharing and discussing new ideas and open problems. Although robot policy representation is the focal point of the workshop, the goal is to present this approach in an accessible way. In this manner, we hope to familiarize members of the audience who are new to this topic with its central concepts. This workshop is intended for roboticists working in the areas of controls, planning, and learning, and who are interested in improving the reliability and autonomy of humanoid robots. The two main target audiences for the workshop are (1) members actively researching new methods, future trends and open questions in policy generation, and (2) people who are interested in learning about the current state-of-the-art in order to incorporate these methods into their own projects. We strongly encourage the participation of graduate students. Bio: Guilherme is a research scientist at the Intelligent Autonomous Systems group (IAS) in TU-Darmstadt since November 2013. He is the IAS team leader for the 3rdHandRobot Project (video here). His main research interest is in robotics, specifically in the area of control, learning and human-robot collaboration. Guilherme received his PhD from the Australian Centre for Field Robotics (ACFR). He did his work under the supervision of Hugh Durrant-Whyte, Surya Singh, David Rye, and Ian Manchester. Motivated by the mining industry, his work investigated the combined use of data-driven iterative learning control and classical disturbance observers applied to autonomous excavators. Bio: Aaron Ames is an Associate Professor and ​Morris E. Foster Faculty Fellow II in Department of Mechanical Engineering at Texas A&M University. His research interests center around theoretic methods in hybrid systems and nonlinear control, with a heavy emphasis on applications to bipedal robotic walking—both formally and through experimental validation. A large component of his research is to use human locomotion as a template for constructing formal theories for robotic walking. 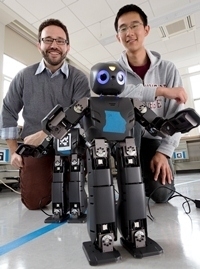 In addition, he explores geometric methods in robotic walking and hybrid systems, along will studying behavior unique to hybrid systems such as Zeno behavior and stability theory. Bio: Marc Deisenroth is a Research Fellow in the Department of Computing at Imperial College London. Marc s research interests center around methodologies from modern Bayesian machine learning and their application autonomous control and robotic systems. Marc s goal is to increase the level of autonomy in current robotic and control systems by modeling and accounting for uncertainty in a principled way. Potential applications include intelligent prostheses, autonomous robots, and healthcare assistants. Bio: Matt Zucker is an assistant professor in the Engineering department at Swarthmore College. 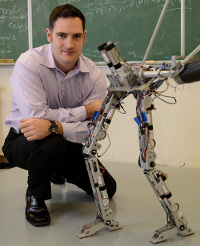 He is interested in developing planning and control algorithms for complex legged robots and mobile manipulators. He believes that high-level planning, which reasons over sequences of discrete behavior primitives, is the best way to plan for such systems. 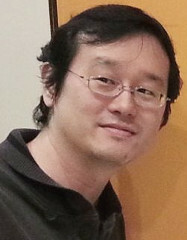 His work focuses on leveraging optimization and machine learning techniques, as well as re-using previous computation, in order to produce fast planning software. We invite researchers to present their latest results or ongoing work during our poster session. Present recent advances in using control policies for solving difficult humanoid robot control tasks. Compare stochastic and deterministic policies, as well as time-dependent vs. state-dependent policies for humanoid robots. Discuss how feedback, e.g., proprioceptive feedback or high-dimensional vision data, is integrated into policies. Relate different approaches for policies, such as automata, temporal logics, motion primitives, hybrid systems models, Markov decision processes, neural networks, and reward functions. Discuss which policy representations are best suited for robot learning and automatic adaptation. Discuss policy representation challenges specific to humanoid robots such as dynamic stability and many degrees of freedom. Discuss and compare approaches to represent and handle uncertainty such as Bayesian approaches, intervals, alternative events, and fuzzy logic. Compare trade-offs between explicitly modeled and implicitly learned policies. Discuss policy robustness in the presence of unmodeled conditions: the "unknown unknowns" problem. Investigate continuous versus discrete state policies for humanoid robots. Compare human-centric issues, such as ease of policy specification, with robot-centric issues such as computational efficiency and representational compactness. Discuss which variables should be controlled, e.g. positions, velocities, torques, impedance. Please submit a 2-4 page abstract in the Humanoids 2014 format to the organizers by October 25, 2014. Accepted posters will be notified by October 31, 2014.